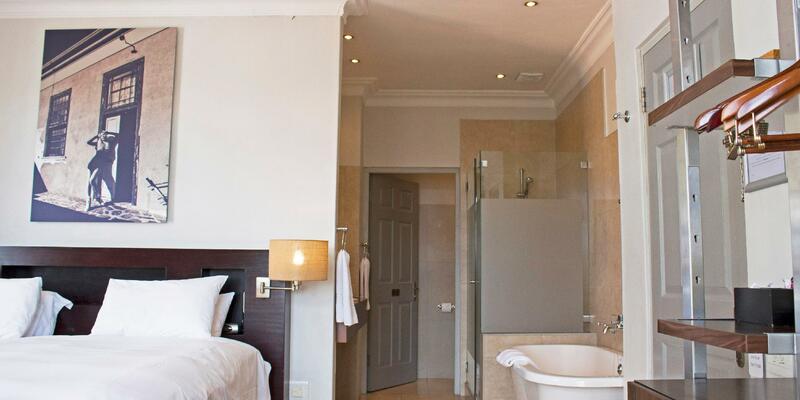 ﻿ The Charles Guesthouse Cape Town. JIMAT di Agoda.com! Ada soalan mengenai The Charles Guesthouse? Direka untuk kedua-dua tujuan perniagaan dan percutian, The Charles Guesthouse terletak di lokasi strategik di Pusat Bandar Cape Town; salah satu kawasan yang paling popular di bandar tersebut. Terletak 1.4 Km dari keseronokan bandar, hotel 3-bintang ini terletak di lokasi yang sangat baik dan menyediakan akses kepada tarikan terbesar di bandar. Bagi anda yang ingin pergi agak jauh, On Broadway Theatre, Harley-Davidson Cape Town, Cape Cobra Leathercraft merupakan beberapa daya tarikan untuk pelawat. Ambil kesempatan daripada pelbagai perkhidmatan dan kemudahan yang tiada tandingan di hotel Cape Town ini. Hotel ini menyediakan akses kepada pelbagai perkhidmatan yang luas, termasuklah Wi-Fi percuma semua bilik, Wi-Fi di tempat awam, tempat letak kereta, khidmat dobi, peti deposit keselamatan. Tetamu boleh memilih dari 9 bilik, semuanya yang akan memberikan suasana ketenangan dan keharmonian. Hotel ini menawarkan kemudahan hebat, termasuk kolam renang terbuka, untuk membantu anda berehat selepas hari yang penuh aksi di bandar. Nikmati perkhidmatan yang sukar ditandingi dan lokasi benar-benar berprestij di The Charles Guesthouse. 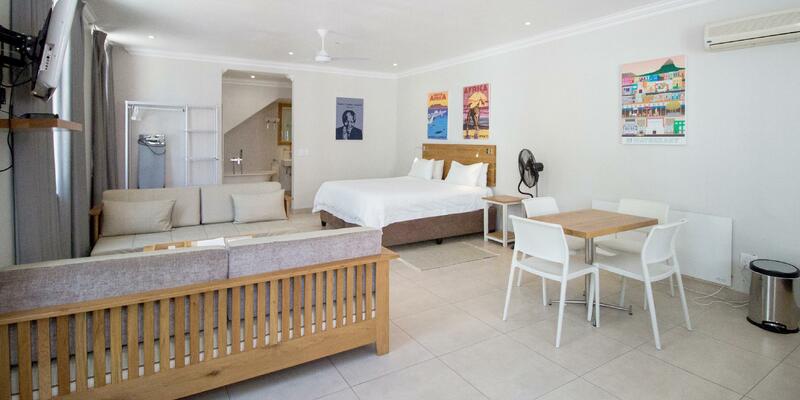 We (group of 3) stayed overnight for the Cape Town Carnival - rooms 8 & 9. The beds were so very comfortable and street noise was very minimal. The shower and bathroom facilities are large, and everything about the room was well appointed. There are quite a few stairs, so the Charles would not be suitable for anyone with mobility impairment. The view from the two rooftop decks is stunning. I'd love to stay longer and have a cocktail while the sunsets. Very cool place to stay. Safe, quiet neighbourhood. Plenty of bars and cafes close by. Good wifi. A big Spar supermarket a few minutes walk away. Stayed there twice. Will definitely stay there again. Close to Greenpoint and the city. friendly staff. very clean. Brilliant and that was all down to the customer service we received! Staff went above and behond to help us out! Great little guesthouse. You can't get free wifi in the room but you can in the reception area! The breakfast was nice and just a short walk away! Rooms were clean and spacious! Easy to travel in Cape Town by walking, a few step to the mall, shops and restaurants. Friendly and helpful staff. Had a strange room on a street corner; must have been a shop earlier and remade into a slightly overdesigned hotel room. Walk-in right on the corner, not through any reception. Interesting, but not completely convincing. Blinds had to be drawn as it was pedestrians just outside the windows. What i liked, though, is that you took care of yourself completely. The systmem of coupons to a nearby café for breakfast worked well. Overall it was good value for the price. 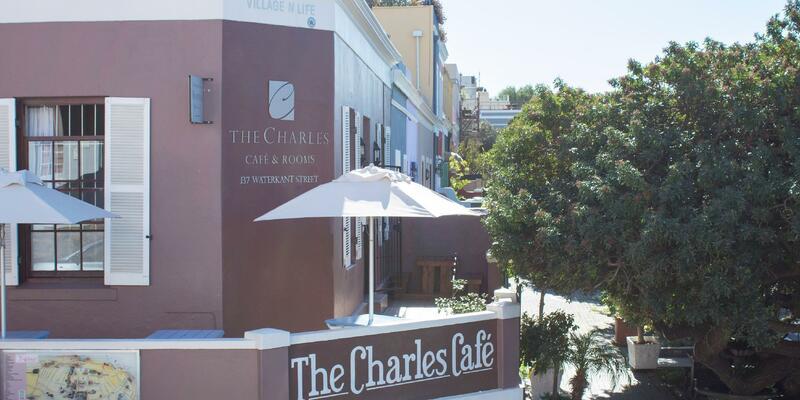 The Charles Cafe & Rooms Hotel was a good choice, we will stay there again at our next visit in Cape Town. The room was really big and nice decorated with a bath tub in the middle. Just dissapointed about the internet connection. Anyway: We found free wifi internet opposite the guest house at Café Manhattan. Kleines Hotel mit Terrasse, von der man einen schönen Ausblick auf Kapstadt hat. Wir haben sehr gut zu Abend gegessen im Restaurant. Von der Lage her gut, man geht ca. 10min zur Waterfront, in die Long Street u ins Bo-Kaap Viertel. Die Lage des Gästehauses ist hervorragend; Waterfront und Long Street sind zu Fuß gut zu erreichen. Das Viertel ist sehr schön und sicher. Hatte von meinem Zimmer aus den Blick auf den Tafelberg. Dit hotel heeft perfecte facaliteiten voor de prijs. Personeel is vriendelijk en ontbijt lekker. Bedden liggen goed!